Gamers worldwide are raving about Supercell’s latest release: Clash Royale, that is finally available on both Android and iOS. 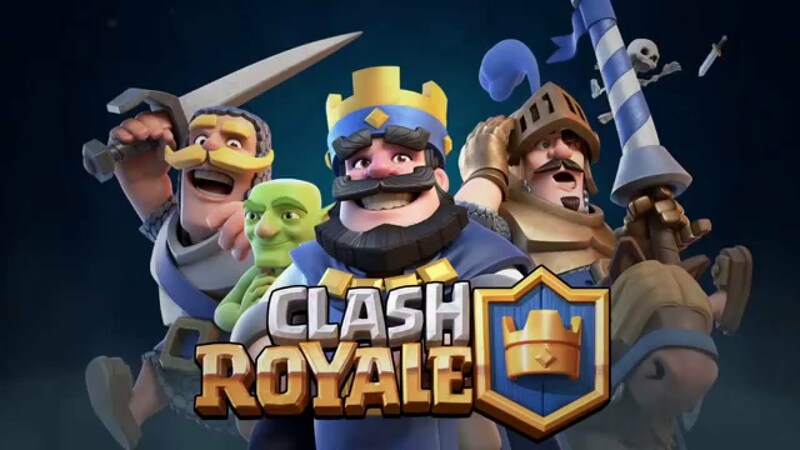 Coming from the success of Clash of Clans, Supercell is again dominating the mobile gaming platform with Clash Royale’s fresh game format set to attract new and avid gamers alike. Initially launched on iOS for iPhones and iPads last January, Supercell finally announced the availability of the game on Android devices. And as the Philippines’ mobile gaming community aggressively grows, evidenced by the success of last year’s Globe #NextLevelKaClash of Clans Tournament, Clash Royale is said to be the next mobile game favorite. On Globe, customers can play and access Clash Royale on their iOS or Android devices through the GoSURF consumable mobile data promos. Additional purchase of in-game currency is also made more convenient with the reloadable prepaid card, Gcash Mastercard if one is using an iPhone or iPad. On an Android device, customers can also easily buy in-game currency via Direct Carrier Billing where the amount is charged to one’s postpaid bill, or credited from the available prepaid load. Soon, gamers will be able to play Clash Royale with no data charges on GoSURF50 as it becomes part of the top 10 games with free access on the said promo. Globe will also soon introduce its new promo, GAMES15 which will give customers free access to Clash Royale among other games, for P15/day with 100MB data allocation. Competitive gamers can also look forward to the upcoming Pinoy Gaming Festival Summer Assembly. Presented by Globe, the biggest gaming festival this summer is slated on May 6 to May 8, 2016, at SM Cyberzone, SM City North EDSA. It is set to gather thousands of gamers from all over the country for three days of intense online competition that will include the battle for Clash Royale. Clash Royale is the fourth mobile game developed by Supercell, following the success of its other games Hay Day, Boom Beach, and Clash of Clans. Clash Royale combines card collecting with strategy to be able to level up and win battles. Founded in 2010, Supercell is a mobile game developer based in Helsinki, Finland, with offices in San Francisco, Tokyo, Seoul, and Beijing. Its games are available for tablets and smartphones using both iOS and Android operating systems. To know more about Globe Prepaid and how to access and play the top mobile games on your device, visit www.globe.com.ph/gosurf. To register, just text the keyword GoSurf50 and send to 8888.